Ryunosuke Kamiki is a famous actor who has charmed the audience worldwide with attractive looks as well as acting ability & performances. Mainly known for playing lead roles in romantic movies, Ryunosuke Kamiki has worked with many other celebrities which have produced blockbusters romance movies. Here is the list of romantic films starring Ryunosuke Kamiki. 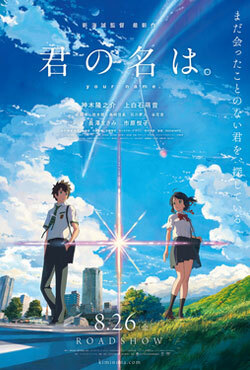 "Kimi no Na wa" (Japanese) or "Your Name" is a Japanese romantic animated fantasy movie that rotates around Mitsuha and Taki's actions, which start to dramatically affect each other's lives, meshing them into a fabric held together by destiny and situation.